We notice in history that civilizations acquiring a lot of material affluence in the beginning lose it after something and go into oblivion. Why? Affluence begets vices like profane sensuousness arrogance and laziness in the people and eventually the balance in life is lost. It is easier to retain equanimity in poverty than in prosperity. Therefore, one should know how to retain the good things after acquiring them once. Success in this needs the practice of Dharma. 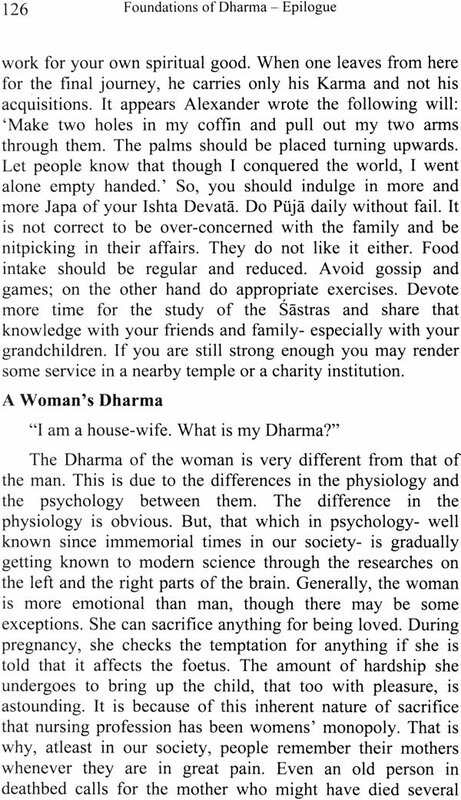 'What is Dharma?' Right action. 'What is Right? Even the most intelligent person or even a cohesive group of such persons cannot answer this question. 'What is my Dharma as a student? 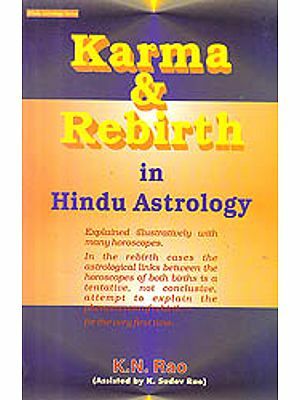 Read this book for unambiguous answers and take guidance for both material prosperity and spiritual progress. Pujya Sri Paramananda Bharati Swamiji is an yathi sreshta and seer in the lineage of the Advaita tradition with an unusal purvaashrama background of academic excellence in both attainments and teaching & research in science and mathematics in an institution of national importance for higher learning. He is a thought leader in Vedanta. He has been reaching out to the contemporary seekers with the precision of a modern scientist and the knowledge of a traditional vedantist. The modern tools and examples from scientific knowledge, now available to explain vedanata, have been extensively used by Swamiji, within the framework of the related Shankara Bhashyas. His book 'Vedanta Prabhoda' is a treatise which enables structured and easy understanding of the difficult texts of Vedanta. Swamiji's scholarship and exposition of Vedas have dispelled many doubts and questions which had remained unanswered. His incisive exposition of Vedanta in the framework of the Shankara Bhashyas has gained wide recognition and is regarded as the true conflict-free basis for the understanding of Advaita Philosophy of Adi Shankara. Realizing that insufficient knowledge and misrepresentation of the truth have given rise to many doubts in the modern minds, Swamiji was requested by seekers and devotees to simplify and explain more basis questions such as: Does God exist? 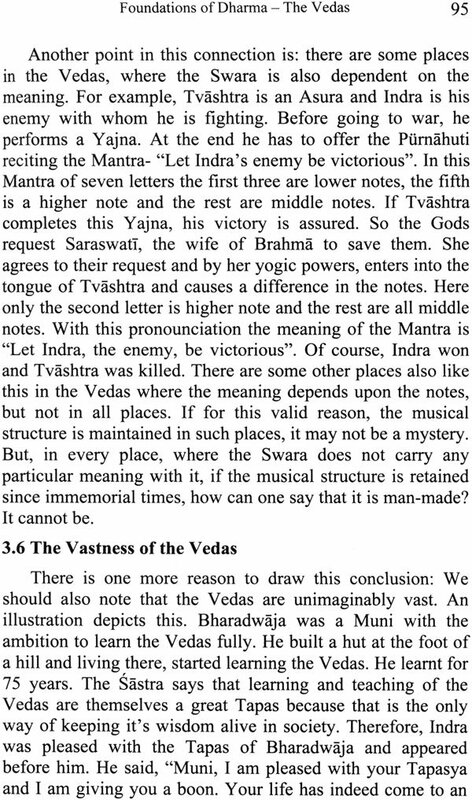 Who wrote the Vedas? Is there Rebirth? In addition, the never ending questions about our Life, Happiness, Value Systems and Dharma which haunt modern human society, have also been addressed from time to time by the Swamiji. In the last three years, a series of lectures based on the Vedas, were delivered by the Swamiji in Bangalore on the theme Foundations of Dharma; the lectures were invariably followed by questions and answers sessions relating to a wide range of subjects. On the request of devotees and seekers, some basis issues covered in these deliberations, have now been brought out in the form of this small book-Foundations of Dharma-to help wider dissemination and to help dispel the darkness surrounding traditions and beliefs in Sanatana Dharma. 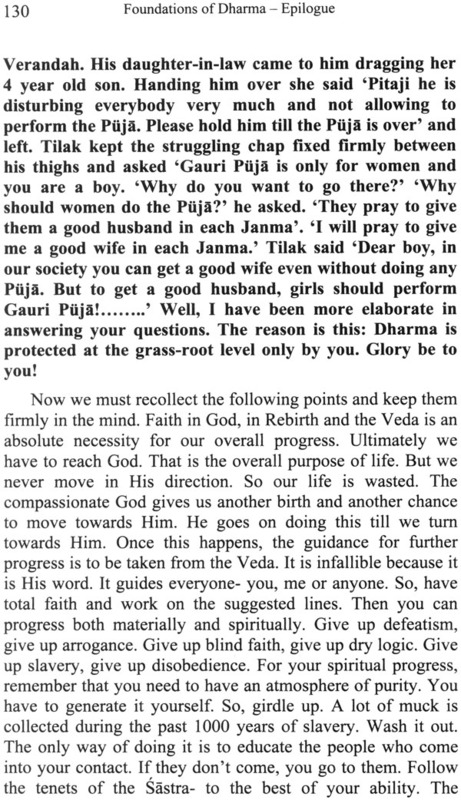 The book aims at providing a foundation for the seeker to understand the basis questions and to help and encourage him in his tradition to seek the Eternal Truth- addressed by Swamiji in depth- in his book entitled Vedanta Prabhoda. In recent days people are showing an increasing interest in Spiritualism. It is not only in our country; it is all over the world. Nevertheless, people of other countries seem to be especially inquisitive about the thoughts and customs of our country. They generally believe that it is the philosophy, the customs and the traditions of this country that can clear all their doubts and give them the much-needed peace of mind. Those who are conversant with the Sastra, know that this is true. But common people have many doubts and pundits can answer them. However, sometimes even intelligent people feel that they are not receiving satisfactory answers to their questions from our traditional scholars. They are perhaps justified in feeling so. The reason in that the scholars use a technical language with which the common people are not familiar. Thought the answers are indeed satisfactory, the ignorance of the technical language prevents one from understanding the answers. What is the solution for this? One may say that those who want the answers should learn this technical language. But majority of the people are too entangled in worldly affairs and they have no time to study the Sastra. Therefore, there is only one way to remove the doubts of intelligent people and that is to use non-technical language. Of course, this may be a little difficult. The answers provided may also not be precise. Nevertheless, if an attempt is made in this direction, it is possible to meet the spiritual needs of these people. This will result in an increased Sraddha in them towards the Sastra. This may further induce in them a desire to learn the technical language of the Sastra even in the midst of their entanglements. The listeners are also intelligent and they certainly have a great desire to understand the Sastra. It is also possible to explain the Sastra in common language. Nobody loses anything by explaining things in simple terms. There is another question faced by common people. "We have faith in the custom and traditions of our elders. We will continue to follow them. Maybe more intelligent people raise question; maybe we are able to answer them either What it? There will certainly be a favourable result for our Satkarama. That is sufficient for us". True, good Karma always leads to a favourable result. However, Karma done with understanding is certainly more fruitful than Karma done without it. Therefore, getting doubts clarified is good for everyone. 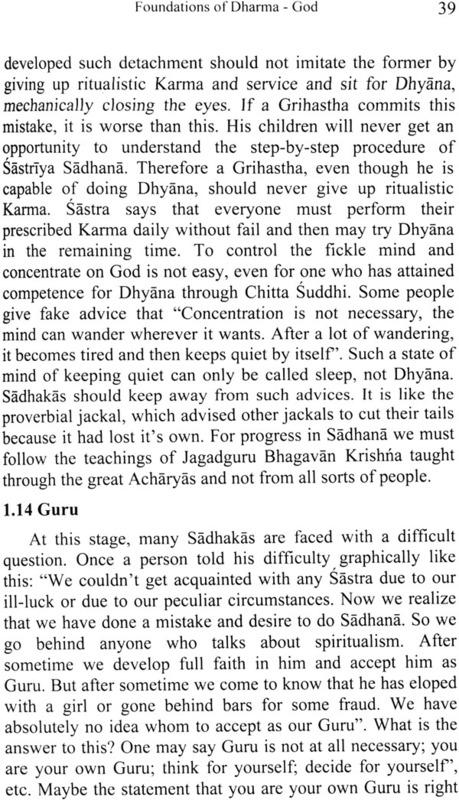 Not only that; Sraddha in Dharma also increases when all doubts are cleared. Some young men and women have another attitude: "God, rebirth, etc., may be true or may not be so. Anyway we cannot perceive them directly. Therefore, why bother about them? We will only indulge in Seva and Dana, which perceptibly uplift the afflicted people. We will spent our lives in such a way that it does not cause Himsa to anyone". No doubt that such people are good idealists; but sometimes, they look at the traditional people with some contempt. They have a righteous indignation towards ritualistic worship. They say that it is all a show-off. They are convinced that they are spending their time more usefully. But there is a lacuna in this attitude: Suppose someone asks them "what is the use of your Ahimsa, Seva and Dana? Non-violence cause discomfort to you and service is generally followed by ingratitude of the served and giving Dana is plainly a loss for you". What could be their answer? As long as one is not getting into difficulties, these questions may like to continue with these ideals. Therefore, for anybody, it is absolutely necessary to know correct answers for these questions. Sometimes, youngsters pose inconvenient questions to their parents. "You are always criticizing me that I don't do Puja, that I don't respect tradition and so on. But if I ask you, 'Is there god? If He is, how He is? What is the relation between me and Him? Why should I follow the tradition?' etc., you do not even try to give any answers. You simply shout at me 'Do as elders do. Gradually you will know everything yourself.' But certainly you have been doing what your elders did. What have you understood there by?" Youngsters, who talk like this, are not always impertinent. They have good conduct. They are intelligent. They may develop faith in the tradition of their parents if at least some, of their questions are suitably answered. But if they do not get answers to any of their questions, they conclude that all tradition is superstition. In due course, they may not only give up the tradition totally but may also oppose it when they become adults. Obviously, this is not good either for the parents for the children. Therefore, from whatever angle one may view, doubts have to be cleared. 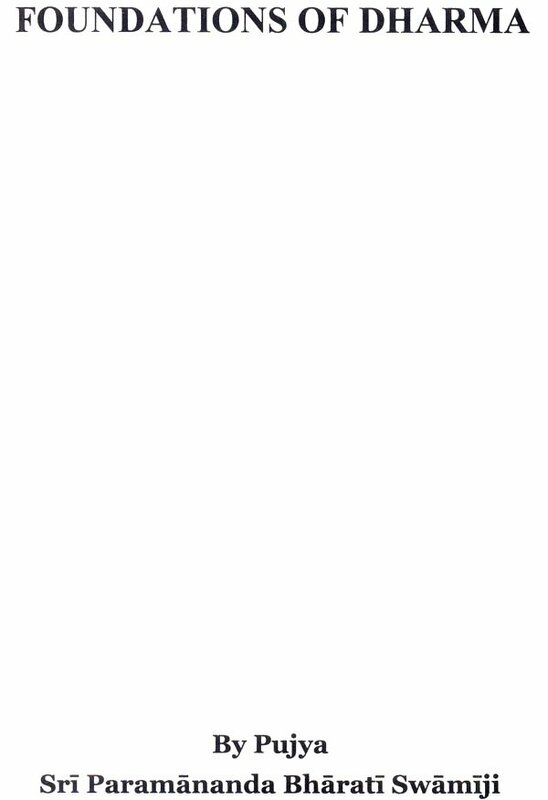 These doubts occur to everybody. "What is the meaning of all that I am doing? Every event that is happening is like a water bubble that appears, stays for a short time and is lost totally later. If at all anything lasts it is only it's bad taste. How are they happening? Why are they happening? What is the relation between them and me? Maybe sometimes, some things happen due to myself. But more often, they are happening without my effort or sometimes in spite of my effort. Who is responsible for them? My Prarabdha? What is Prarabdha? Who am I? How did Prarabdha get tied to me? Indeed, why am I born? How did it come? Why did it come? Or, can it be that some mysterious power has forced me to take this birth, thought I did not have any desire to be born? Is this invisible power playing with me? Is this so sadistic? What is this power? If everything is happening because of this, why should I make any effort at all? Alas! I am not able to even keep quiet without doing anything. Do I have any role in my own life?" These are indeed agonizing doubts. Those who want to do good, do not know that is good. Those who want to prevent had, do not know what is bad. If they ask anybody, they get different answers from different people. Who is to be believed? Who is not to be believed? People feel lost in this confusion. Finally they will say "Let anything fall to ruins; if I am able to meet both ends, that is sufficient". They end up in such despair. An endeavour has been made here, to answer all such questions, keeping modern people in view. This indeed is a difficult task. The difficulty is not in giving the proper answers, because the great Sankaracharya has answered all the queries of all the people of all times in his writings. But recapturing them in simple language is an uphill task. However an earnest attempt is made to convey his guidance on these vital issues without losing the originality. Inconvenient and unfamiliar beliefs are not thrust upon the readers. 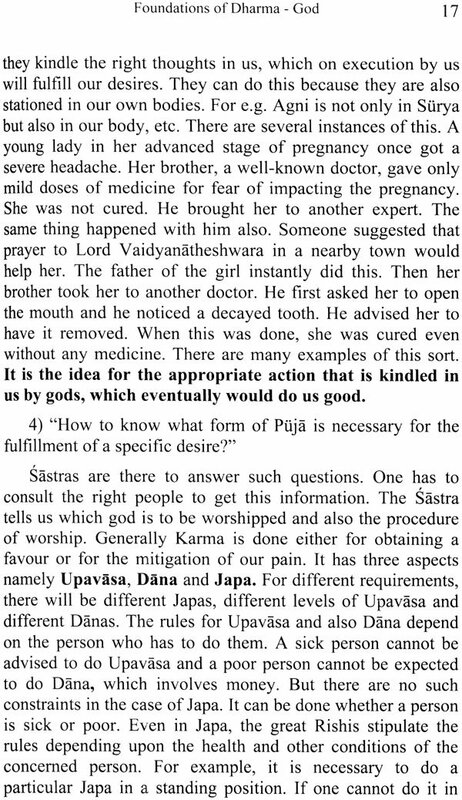 Very simple language is used throughout the book so that even those who have absolutely no idea of the Sastra can benefit by this book. This book can stimulate in the minds of the readers a greater interest to study the Sastra. If they do it, their perception will become clear, their mind will because pure and they would turn to a disciplined purposeful life, which they will enjoy. 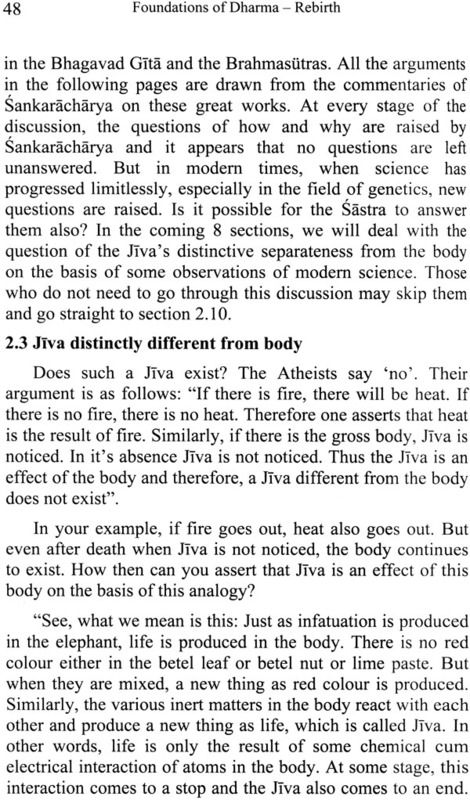 The Sastra does not discuss thing which are directly perceptible because there is no need for a discussion about them. But the things we want to understand here are not directly perceptible. So they need to be discussed and understood at the mental level. No room should be allowed for superstition in this process. In that case, how does one go about understanding things that are not perceptible directly to the senses? 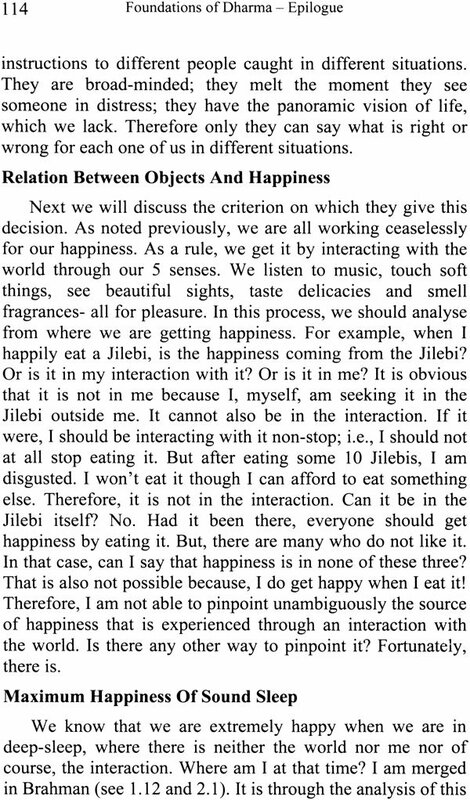 It is mainly through inference and analogy. In common parlance this goes by the name Science. For example, in order to understand the intrinsic nature of the physical is of a house built by cement, stones, wood, steel, sand, etc. The inference is that all objects are built similarly out of atoms. Each atom has specific qualities and there are specific forces acting between them. These forces bind the atoms in the shape of the objects. This is atomic theory. But in the analogy quoted above, it is possible to demolish the house and see the cement, bricks, etc. But in the case of the objects one cannot see the atoms and forces likewise. Thus, analogy itself is not sufficient and inference is unavoidable. In that case, is it correct to believe the atomic theory only on the basis of analogy? Of course, not! In order to confirm the inference, Science tells the following: "On the basis of the inferred atoms and the atomic forces, one should be able to understand all the perceptible qualities of objects. Success in this will confirm our inference. When this is not possible, gives up the inference as faulty". Therefore, if this explanation of the perceptible qualities is possible in terms of the inferred atoms and the forces between them, then inference becomes valid. In other words, unless it goes against the observable properties, inference is as valid as direct perception. To a large extent, people use analogy and inference for the enrichment of their knowledge. 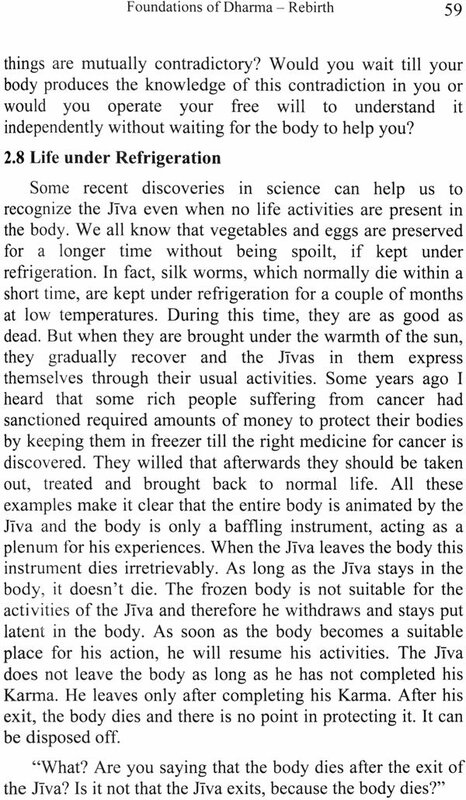 On the other hand, the invisible and inherent nature of objects is discussed by Vaidikas on the basis of the Vedas. 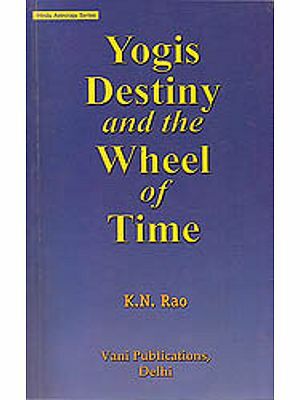 The basis for the validity of the Vedas as an effective means of knowledge will be discussed at the end of this book. 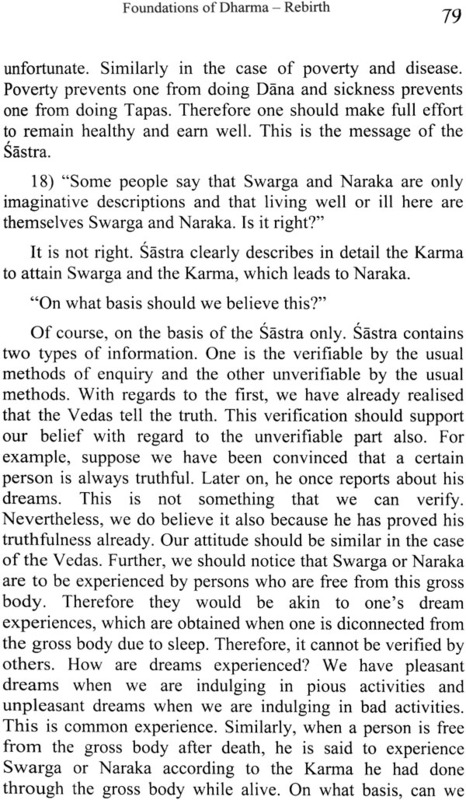 However, the Vaidikas do not reject inference, just as the Nastikas reject the Vedas. Hence inference is acceptable to all. That is the reason why inference is adopted in this book as the main basis for discussion. Of course, there are lots of things that are not accessible to inference, but accessible to the Vedas. However, such things are discussed here. 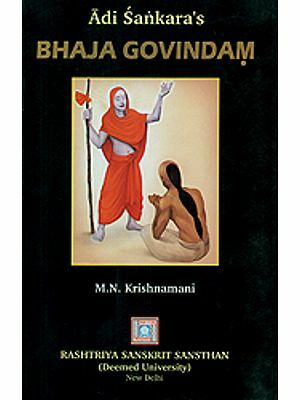 The summary of this book may be described as follows: Generally, all the doubts of common people pertaining to Dharma mainly come under three questions. Since Dharma depends mainly on the existence of God. "Does God exist?" is the first question. 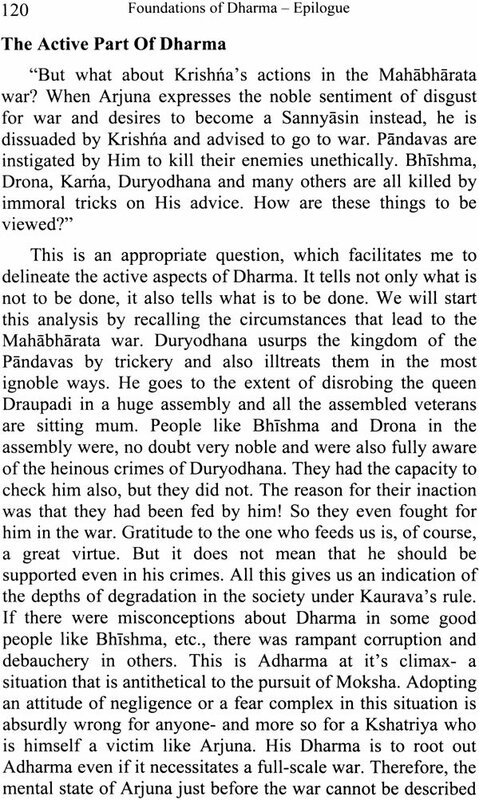 Now, all the actions of Dharma do not necessarily yield results here and now. 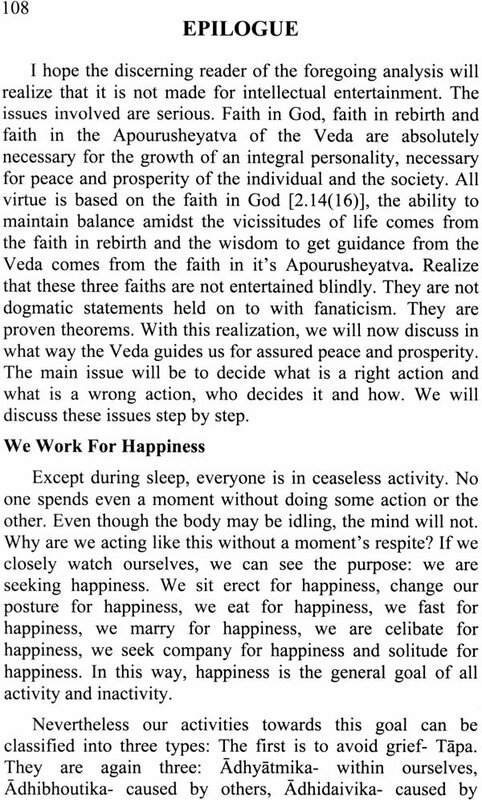 Indeed, people with faith in the Vedas perform Satkarma in the hope of reaping the fruits in another birth. Therefore, "Is there a rebirth?" is the second question. Even after both these questions are answered, the further questions that arise are: "What exactly determines the relation between Karma and Karmaphala? How to decide what is good Karma and Karmaphala? How to decide what is good Karma and what is bad Karma?" If the decision is left to human beings, each will give his own opinion based on his ability for inference; there can be no universal agreement on this. 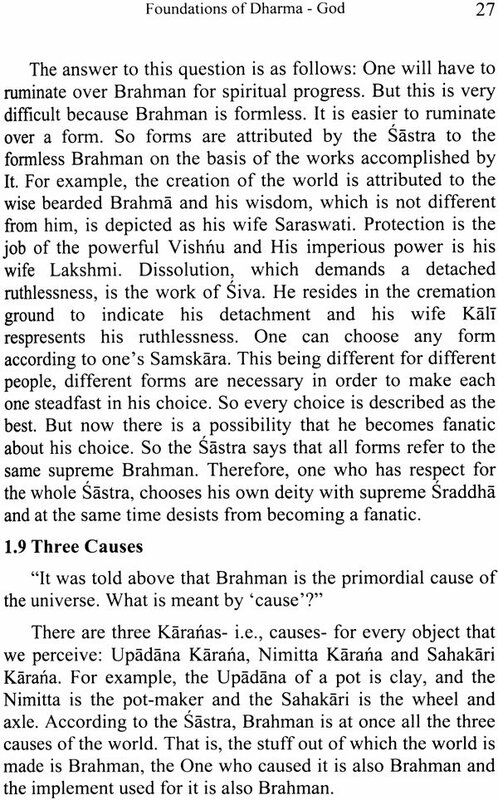 Therefore the Vaidikas decide it on the basis of the Vedas. 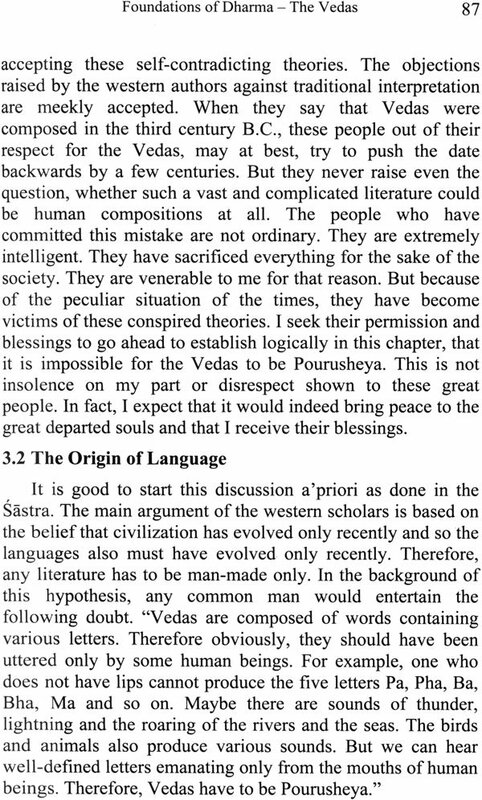 Now this is based on the belief that Vedas are not written by any human author as in the case of other books. They are the words of Isvara. Therefore arises the third question "Is this statement just an eulogy or a fact?" Thus the existence of God, the existence of rebirth and the non-human authorship of the Vedas are the three issues under which a host of questions develop. So when these three questions are answered, it would be the first step for further spiritual progress. Therefore only these three issues are considered in this book. 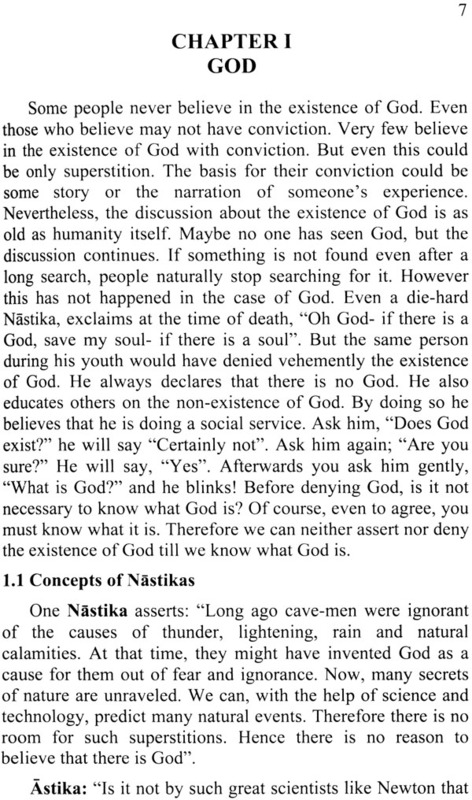 An Astika is one who has no faith in them. The presentation of these arguments in the following pages is in the form of a dialogue between the Nastika and the Astika. Since this book is very small, there will remain a number of sub-questions unanswered even after studying this. But it is hoped that it will create interest for future study in the readers. Let more questions arise and let there be more discussion. Let this lead to a clearer understanding of the nature of God. Let this further lead one to Vairagya from unethical pleasures.